Th e Providence Journal publishes J.H. Snider and Beverly Clay’s critique of Rhode Island’s state constitutional convention campaign finance disclosure laws. The Providence Journal publishes J.H. and Sage Snider’s op-ed providing a historical, political, and democratic analysis of Rhode Island’s November 4, 2014 referendum to convene a constitutional convention. J.H. Snider’s luncheon presentation sponsored by theHarvard Journal of Law & Technology, Harvard Law School, Cambridge, Massachusetts. The presentation includes a Powerpoint and webcast (compatible with Apple’s Quicktime). The Edmond J. Safra Center for Ethics at Harvard University publishes J.H. Snider’s working paper on the incentives for credit taking vs. giving at Washington, DC public policy think tanks. Covered in Think Tank Watch, August 13, 2013. J.H. Snider’s presentation at the 3rd World Conference on Research Integrity, Montreal, Canada. The Huffington Post publishes J.H. Snider’s commentary critiquing the misleading and undemocratic way Congress has been allocating tickets to the presidential inaugural swearing-in. The Hill publishes J.H. Snider’s op-ed critiquing the way the President and Congress have been allocating inaugural tickets to their supporters at public expense. Politico publishes J.H. 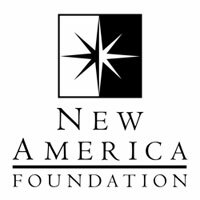 Snider’s commentary on what Senator DeMint’s move to the Heritage Foundation reveals about Washington’s evolving think tanks. Covered in Think Tank Watch. The Huffington Post publishes J.H. Snider’s 1st year report card on the White House’s We the People petition website. J.H. Snider’s Huffington Post article critiquing the National Telecommunications and Information Administration’s management of spectrum, including its culture of secrecy. For more information, see NTIA Corruption Initiative. J.H. Snider’s latest ruminations published on the National Coalition For Dialogue and Deliberation’s community news website. The Campaign for a Stronger Democracy gives it the lead spot in its November Newsletter. J.H. Snider’s Huffington Post article on the frustrations, including technical glitches, citizens experience using the White House’s new We The People petition website. Daily Candy featured two quotes from the article, and Techpresident.com cited it when reporting on the White House’s subsequent announcement that it was working to fix the technical glitches. What Is the Democratic Function of the White House’s We The People Petition Website? J.H. Snider’s Huffington Post article critiquing the October 18, 2011 front page article in the Wall Street Journal, which is bereft of understanding the democratic purposes of a petition website. America Speaks reposted it on its blog Campaign for a Stronger Democracy commented on it. J.H. Snider’s Huffington Post article critiquing the White House’s new website facilitating the public’s First Amendment right to petition its government. The Wall Street Journal reposted it on its blog, and a week later ran a similar story on its front page. The Severna Park Patch publishes J.H. Snider’s written comments to Maryland’s Congressional redistricting committee regarding the transparencyt of its proceedings. J.H. Snider appointed a non-residential Network Fellow at Harvard University’s Edmond J. Safra Center for Ethics for the 2011-2012 academic year. The Washington Post publishes J.H. Snider’s op-ed on the implications of the results of the Nov. 2 Maryland constitutional convention ballot referendum. The online version, with a different title and URL, was published on the afternoon of Nov. 13 under the title Con-con promise comes due for O’Malley. 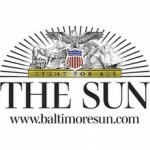 The Baltimore Sun publishes J.H. Snider’s oped arguing that a state constitutional convention may be the best way to pass democratic reforms, such as term limits, where the legislature has a blatant conflict of interest with voters. For more information on Maryland’s November 2, 2010 ballot item to convene a state constitutional convention, see www.MarylandConCon.org. J.H. Snider describes the role state constitutional conventions should play in the democratic process, with a focus on Maryland’s state constitutional ballot item on November 2, 2010. The FTC discussion draft cites iSolon.org’s conflict-of-interest automation proposal six times (see March 10, 2010 presentation and working paper below). The draft will be discussed at the FTC’s June 15, 2010 National Press Club event on the Future of Journalism. Snider, J.H., Maryland’s Fake Open Government,Washington Post, April 18, 2010, p. C5. Throughout the world, democracy has more legitimacy than authoritarianism. That’s why so many rulers profess more adherence to democratic norms than they practice. Classic illustrations include Russia, Iran and Venezuela, which political scientists characterize as “facade,” “pseudo” and “fake” democracy. America lacks such blatant democratic fakery, but less obvious forms can still thrive. Fake transparency occurs when officials seek the democratic legitimacy but not the accountability that comes with open government. Fortunately, new information technology, which allows public records to be posted online the moment they are created, can deter such practices. Laws requiring transparency are most effective in fostering democratic accountability when they force disclosure of politically controversial decisions. Unfortunately, right-to-know laws in Maryland and elsewhere tend to be weakest on exactly this type of access. Over the years, I’ve made many requests for such information at all levels of government. Although federal transparency is hardly perfect, my worst experiences with government secrecy have been at the local level. Consider my experiences with the implementation of Maryland’s right-to-know laws in Anne Arundel County, where I live. To find out how my County Council member voted during her term, I had to identify myself, pay $400 (25 cents a page for four years of written minutes) and endure an inquisition by council staff members who assumed that I had to be running for council. To find out how much county public employees are paid (including benefits), I had to identify myself and endure harassing phone calls from employees (whom the public information officer alerted to my request), and then I didn’t even receive the information I was entitled to under Maryland law. In response to my request for a copy of a printed public document, I was told that to save the county money, I had to access it online. But I was not told that the controversial part of the document was omitted from the online version. When I alerted Maryland’s Open Meetings Law Compliance Board that the chair of a public body had held a special meeting to discuss controversial issues without the legally required public notice, the chair’s mere claim to have sent such notice — backed by no corroborating written evidence or testimony — was deemed adequate to satisfy the law. While investigating whether members of a public body were violating the spirit of Maryland’s Open Meetings Law by conducting business via e-mail, I discovered that getting an answer to that question was impossible because the county destroys centralized e-mail records after 30 days and Maryland’s Public Information Act allows officials 30 days to respond to a request. Admittedly, my county government has an award-winning Web site and happily provides tons of noncontroversial information. But in a democracy, the test of right-to-know laws is accessibility to the information that public officials don’t want to give you. To address the problem of fake transparency, the simple principle that public equals online should be adopted. A bill recently introduced in Congress, the Public Online Information Act of 2010 , attempts to do this for the federal government and points the way for local governments, too. During the just-concluded session of the Maryland General Assembly, a half-dozen government transparency bills were introduced (and failed to pass), but none was remotely as ambitious or simple in aspiration. The default transparency standard in the state should be that all documents subject to a Public Information Act request should be online and free to the public from the moment of their creation. Indeed, this transparency principle should be incorporated in the state constitution. A key feature of the federal transparency bill is its separation of public record creation from control. Until now, the only practical option was to give the foxes control of the chicken coop; that is, creators of public records also had control of access to them. But with the advent of the Internet, this argument no longer holds. After a record is created, it can now be transferred to an independent body for immediate archiving and posting online, including automatic redaction of confidential information. In Maryland, the Maryland State Archives could take on such a role. This checks-and-balances principle of separating public record creation from control should also be made part of Maryland’s constitution. Unfortunately, practical politicians have an incentive to care about the appearance but not the reality of open government. As a result, they have been slow to exploit the potential of new information technologies to reduce fake transparency and strengthen democracy. It is the job of voters to demand that they do so. J.H. Snider’s presentation before the 111th Congress Stennis Congressional Staff Fellows Program.